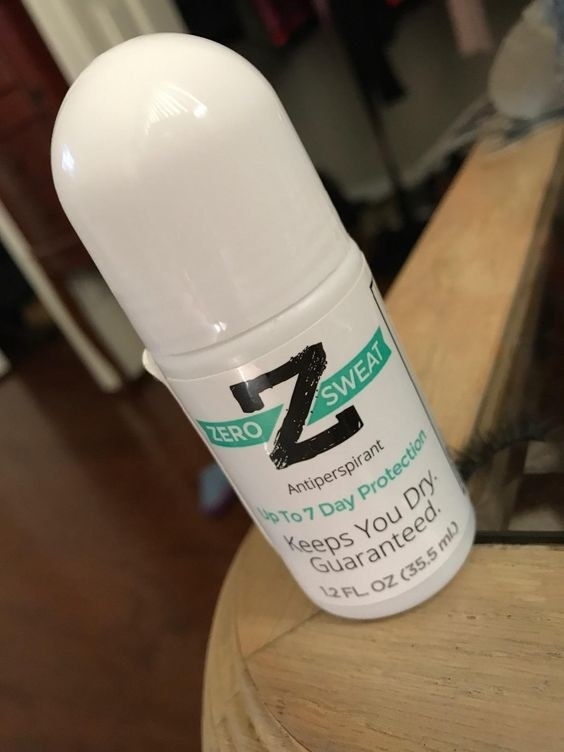 This ZeroSweat roll-on will tell your armpits to ~chill~ faster than it takes to change your freaking shirt AGAIN. Sweat: it's something we all experience! But for some of us, it's MUCH more than everyone else. As in we never stop. Like, damp is best-case scenario. ^^ THIS IS NOT JUST DURING THE SUMMER, PEOPLE. But today you can raise your hands like you just don't care (really! 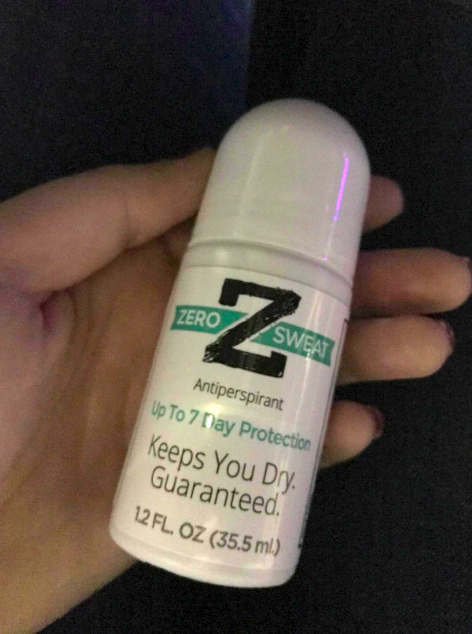 ), because I just found this ZeroSweat roll-on antiperspirant ($18.98 on Amazon). Its SUPER strong formula is designed to treat hyperhidrosis and excessive sweating so even the most determined of sweat glands are in for a real wake-up call. 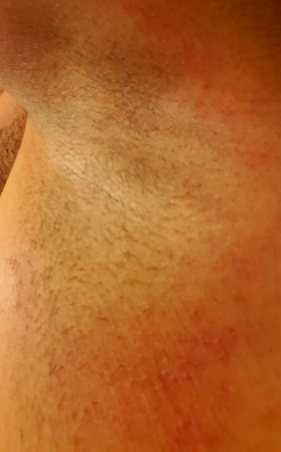 Its main ingredient, aluminum chloride, is *very* strong so you need only apply a little (and never after shaving). But see the proof for yourself! 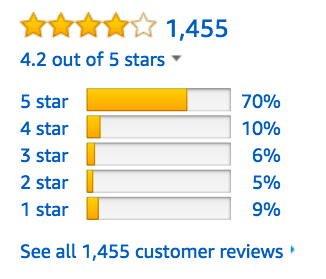 It already has 1,020 five-star reviews and a 4.2 star rating on Amazon! Promising review: "I live in Texas and it is hot and humid here most of the year. 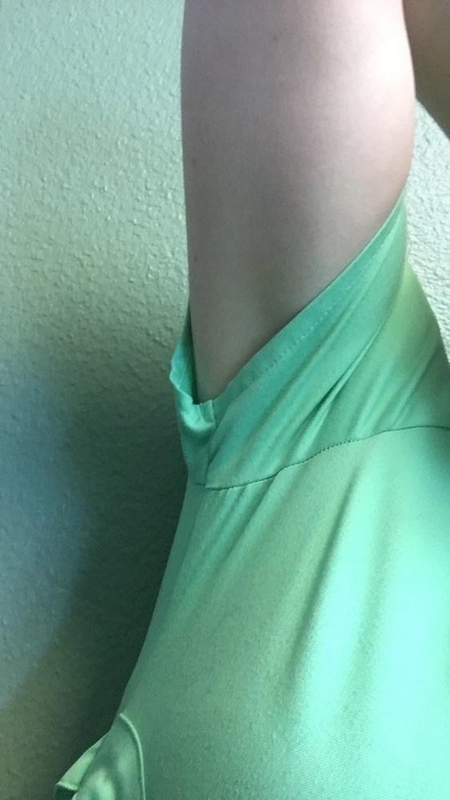 I have been dealing with my right armpit sweating uncontrollably for years. It could be the middle of winter and my right arm would sweat through a thick sweatshirt even if I was standing outside. I could be sitting in an air conditioned office wearing a thin cotton T-shirt and my right arm pit would be sweating like I just ran five miles. I decided to look on Amazon for some underarm pads, but when I saw this, I went ahead and bought it. I really hoped it would work, but I was expected to be let down again. Well I wasn't! Not only is this super effective, but also incredibly easy to use. You swipe, keep it on for two to three minutes, wipe it off, and sleep. It'll kick in overnight so you're more than ready for that damn sun come morning. Just look at this person raising ~both~ of their arms without fear! AND in a light shirt, no less. We are truly blessed today. Plus, it works for a whopping seven days (sometimes up to ten)! That's a heck of a lot time to not have to worry about where the next fan is. *Find My Fans instead of Find My Friends would make a great app, just saying. 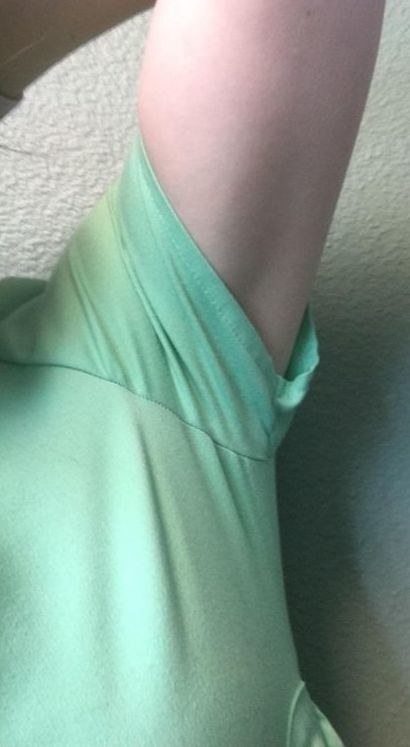 It even keeps your armpits dry after working out, which (before today) I found just as likely as discovering I actually have a trust fund, after all. Moral of my rant: if you're sick of sweating all the time and just want some dry armpits already you should try this!